“The boy on the trunk is a pygmee from the Baka tribe. 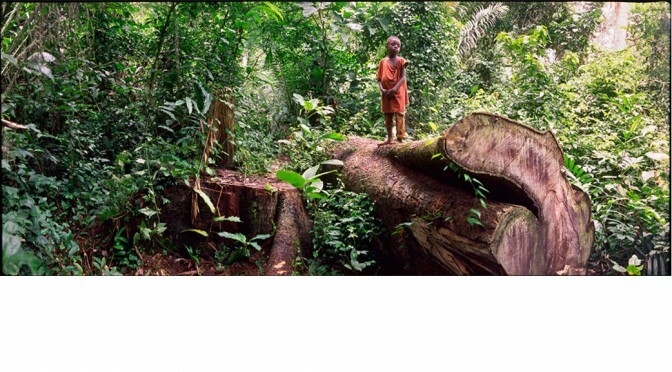 Because of industrial logging, his future in the equatorial forest is bleak. To explain my work, I often use the word “encounter”. I want to confront people who would never normally meet. For these encounters to take place, I try to photography people in “real” situations. I then transfer the images in the viewer’s environment, thus the panoramic format. The viewer can then delve directly into the event, and feels he is himself within the picture frame.